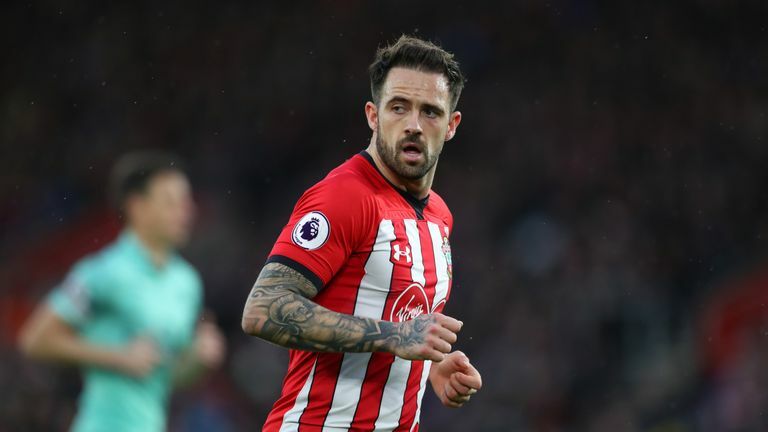 Hamstring injury keeps Ings sidelined; Southampton boss says forthcoming three-week break between games will feel "unnatural"
Southampton manager Ralph Hasenhuttl has confirmed striker Danny Ings will not be fit for Saturday's game against Tottenham. Ings has not played for the Saints since coming off after 27 minutes of a 1-1 Premier League draw against Burnley on February 2 with a hamstring injury. The 26-year-old, who is on loan from Liverpool, has yet to return to first-team training and Hasenhuttl says the club are targeting Southampton's trip to Brighton on March 30 as his return date. "No, he is not in the group at the moment," Hasenhuttl said. "We have not taken any risks. We want to give him the time to come back in this three-week break we have after the Tottenham game. "We have one friendly game against a Championship team and then maybe he can get 45 minutes to build him up for the games that are coming up then because they are very important." Following the game against Spurs, Saints will have a rest week as the FA Cup quarter-finals take place. Many of the club's players will then head away on international duty as qualifying begins for Euro 2020. Hasenhuttl admits the break comes at a crucial point in the season - Southampton are one place and two points above the relegation zone, with nine matches remaining - but he is determined to take the positives from it. "This is a new situation for me, missing a game for the cup. To have such a long break during the season is unnatural," Hasenhuttl said. "We will have everyone here for the first week and then not for the second because some will leave for their national teams. "In that first week, we will take a few early steps towards the Brighton match but when they go to their national teams, maybe they will forget what we worked on. We will try to find some rhythm but it is not easy."